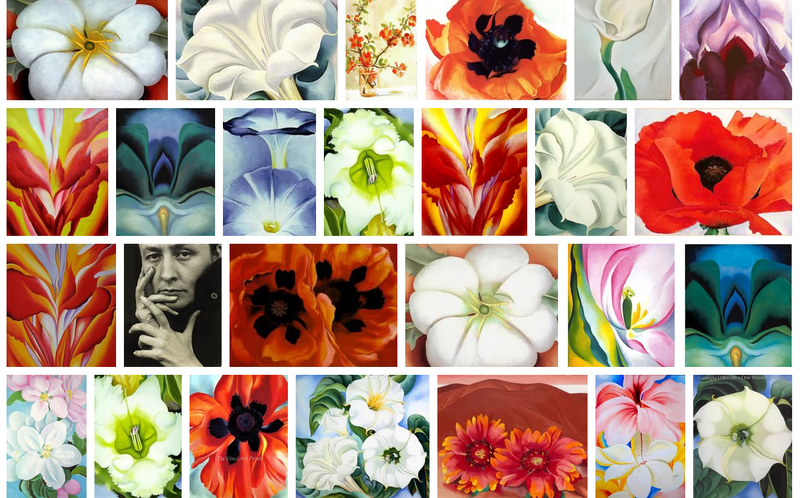 I was researching Georgia’s work in Google images the other day and was awestruck by this vibrant display of color and form. I had to have it. All of it. So, I captured it with a screen shot. On a Mac you can capture a screen shot too by holding down these three buttons at once: shift + command + 4 . Once you press down on all three keys, a small cropping tool that looks like a bullseye with a plus sign in the center will pop up on your screen in place of your mouse marker. Move your mouse around the screen until you have the bullseye in the top left corner of where you want your image to be framed. You then click and hold (don’t let go!) and drag until you fancy the size and shape of your “shot” and then let go of your click. The image will be saved to your desktop as a screen shot.